Based upon documentation filed in Michigan’s Oakland County court, the beloved singer-songwriter’s estate is estimated to be worth approximately $80 million dollars. However, despite her wealth and access to counsel, she died with no will, trust or estate plan. 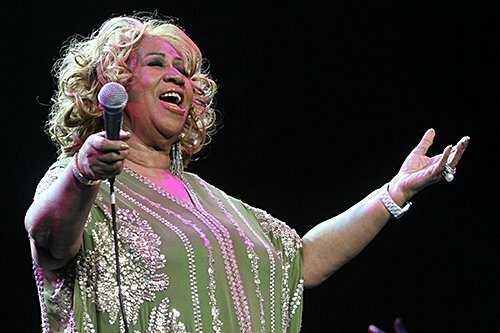 In December, the IRS filed a claim in probate court alleging that Ms. Franklin owed several million dollars in back taxes and penalties at the time of her death. These claims must be either satisfied or contested prior to the distribution of the estate, and could add years to an already complicated, expensive process. To add to the disorder, it is being reported that an heir to Ms. Franklin’s estate is attempting to obtain a court order requiring the estate to provide them with monthly financial documents and that another potential heir suffers from special needs. Ms. Franklin’s lack of a comprehensive estate plan has resulted in the details of her wealth, debts and family relationships being a very public matter. Generally, the rights to song royalties, copyrights and publishing rights and the inherent difficulty in valuing such assets, lead to prolong battles with the IRS and will ensure a long and very public probate process. Additionally, the consequences of a distribution of funds to a special needs beneficiary can have far reaching, unintended effects to such beneficiary. A properly drafted estate plan could have avoided this very public probate, kept her estate assets and debts private, expedited the distribution of her wealth and provided appropriately for the special needs of one of her children. Whether you’re a celebrity or not, the best course of action, always, is to prepare for the eventuality of death with an updated, current estate plan, which takes into consideration all aspects of your life and ensures that your estate, big or small, and the distribution of your assets remains a private matter between you and your loved ones.